Calling male field crickets (Gryllus spp.) are acoustically located and subsequently parasitized by the parasitoid fly, Ormia ochracea (Diptera: Tachinidae). Parasitism by O. ochracea results in cricket death. The reproductive compensation hypothesis posits that when a host’s residual reproductive value decreases, it would be adaptive for that host to shift its resources into current reproduction. 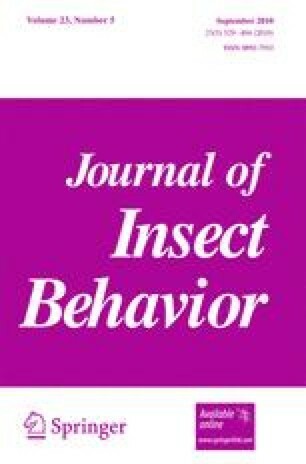 Reproductive compensation has not been observed in the cricket-fly system. Here we review the studies to date that have investigated reproductive compensation in the cricket-fly interaction, in an attempt to understand why crickets do not compensate for their future reproductive losses. We conclude that the cricket-fly interaction may not be an ideal system in which to investigate reproductive compensation and furthermore, that reproductive compensation has been poorly investigated in this system. Thank you to M. Forbes, H. Rundle, O. Dare, R. Gorelick and two anonymous reviewers for helpful comments on this manuscript.